Fireproof paint, or other fireproof construction and lining materials, have been compulsory for years now in office buildings, entrance halls, public buildings, parking garages and governmental buildings. In the US the general rule is: the higher the building, the longer the material needs to withstand flames. In case of fire, a fireproof paint guarantees extended evacuation time, as well as vital extra time for firefighters to arrive and minimise damage. Fireproof paint gives firefighters extra time to arrive. Suitable for various substrates: fireproof paints are applicable on wood, steel, concrete, textile and plastics. When applying a fire resistant paint there are several important factors that will affect your choice: the building type determines the minimum fire protection time required of the fireproofing method (30, 60, 90, 120 minutes), and each different substrate will need a specific product and application method (fireproof paint for wood is different to one for steel). Therefore, in this article we provide you with professional advice on what you need to know when choosing a fire resistant paint. If you are considering applying fireproof coating, then the structure of the building is part of what defines the coating you need; what is the building going to be used for, and what is the building’s height? There are three factors that define whether the building requires 30, 60, 90 or 120 minutes of fire protection. The higher the building, the stricter the requirements: a building higher than 16′ 5” must be at least 90 minutes fire proof. A building lower than 16 feet 5 inches does not always have specified fire resistance, which is why you should always consult a specialist when considering fireproof coatings. Are there, or could there be people sleeping in the building? Buildings below 16′ 5” must be 60 minutes fireproof, and buildings between 16′ 5” and 42′ 8” require 90 minutes. If the building is higher than 42′ 8”, the requirement is 120 minutes of resistance to fire. In some cases the fire resistance must be 120 minutes regardless of the height and purpose of the building. This is true for industrial facilities and places with a heightened fire risk such as offshore structures and chemical processing plants. This is also true for archives, libraries, and museums where valuable information or goods are stored. Note that these three factors are not affected by the substrate type; the same rules count for wood and steel. In general, the costs of fireproof paint can be estimated by the amount of coating needed and the required fire resistance: the higher fire rating the coating must have, the greater the investment to apply it. 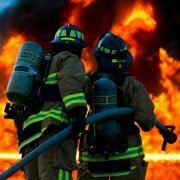 FEMA has a helpful document detailing the fire protection in buildings which goes into more detail as to fire behavior. The following table gives you an indication of what to expect from the fire protection for your building type. Always consult a specialist about fire protection coatings to make sure your building is appropriately protected and meets the set standards. Our experts are happy to help you receive a competitive proposal for the coating you need: just send us a message by clicking the “request a quote” button at the bottom of this article. In the US, the fireproofing standards and requirements are set by and controlled by several bodies. The two most important bodies regarding classification and testing are Underwriters’ Laboratories Inc. and National Fire Protection Administration (NFPA). Knowing the following testing and classification methods helps you define the coating that meets the specific requirements that apply to your building in the US. 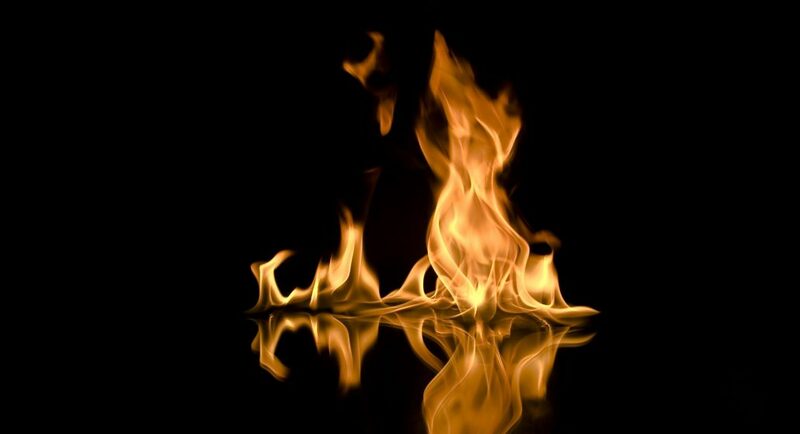 Flame spread rating – Fire resistant material serve as a barrier between the flames and the combustible material, the rate of flame spread indicates to which extent the paint accomplishes the task. The rating is derived from comparing the flame spreading on the surface with the known rates of red oak (flame spread rating 100) and asbestos cement board (flame spread rating 0). The flame spread rating is defined by testing methods as described in ASTM E84 (UL 732) for building materials and ULC s 102.2 for floors. Life safety code 101 – Most American building codes rely on the recommendation according to NFPA which system features five divisions from class A to E as presented in the following table. Also coating manufacturers use the NFPA system in their product packaging. We advise you to leave the application of fireproof paint to a certified contractor. Every building has specific requirements for fire resistance, and it takes a trained professional to apply the coating effectively. The building type, substrate type, and end use requirements all impact the choice of coating and the way it is applied, including such factors as film thickness. An inspection report needs to be drawn up by the contractor, including calculations for film thickness and the suitable materials for the project. Once the coating has been applied, you will receive a certificate. This certificate confirms that you have complied with all relevant regulations and used the correct fire resistant coating. The coating must also be regularly inspected in order to detect any signs of premature deterioration and need for maintenance. There are two types of fire proof paint, intumescent and fire retardant, and each has a different method of impeding fire. They can be applied either independently or as a fire protective system. Intumescent coatings: almost predominantly applied as undercoats. This type of fire proof paint expands when the temperature reaches 200°C forming a solid foam-like char which insulates the substrate. Not only does it protect the substrate from ignition but also from the effects of the heat; steel loses strength and structural integrity starting at 572°F . Fire retardant coatings: used as undercoats for regular paint or topcoats for intumescent coating. These coatings release a flame damping gas when the temperature rises to extremes. This forms a buffer zone, protecting the surface from the flames. This is the most common type of fireproof paint used as an independent coating for wood. If these two coatings are applied as a complete system, the fire retardant topcoat prevents flames from coming close to the surface, postponing the swelling response of the intumescent undercoat. Once the fire has exhausted the topcoat, the undercoat kicks in. This system provides much needed extra time to get a fire under control. Depending on the substrate material, there are several fire proof paint specialists in the US whose services are available to you. Which one you should contact, depends on the substrate – most of them can help you with coating steel, but wood and concrete require different expertise. The American fireproof paint specialists often use internationally recognized products from manufacturers such as AkzoNobel, Sika and Jotun. We at CoatingPaint.com are happy to help you find the right specialist for your project, and provide you with a quote. Just use our 100% free quote service by clicking the “Request a quote” button at the bottom of this article. Our experts are here to help.